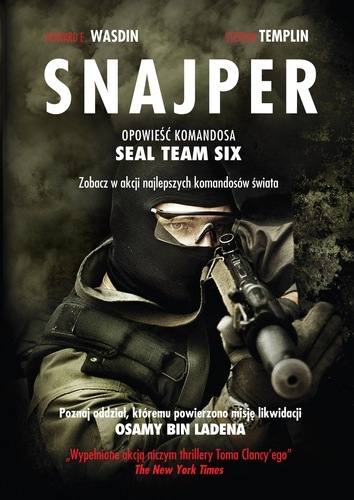 245 1 0 %a Snajper : %b opowieść komandosa SEAL Team Six / %c Howard E. Wasdin, Stephen Templin ; tł. Łukasz Müller, Michał Romanek. 246 1 # %i Tyt. oryg. : %a SEAL Team Six : %b memoirs of an elite Navy seal sniper, %f 2011. 260 # %a Kraków : %b Społeczny Instytut Wydawniczy Znak, %c 2011. 300 %a 421,  s.,  s. tabl. : %b il. ; %c 21 cm. 504 %a Bibliogr. s. 419-420. 600 1 9 %a Wasdin, Howard E.